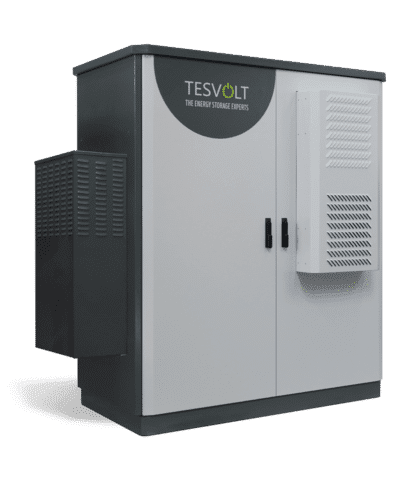 Whether to increase self consumption or to cut peak loads, on- or off-grid to optimise diesel hybrid systems, whether in the desert or the Arctic circle – with the TESVOLT TS HV 70 Outdoor storage system, TESVOLT offers a technical storage solution for any application. Its advanced, cost-optimised design makes for unbeatable efficiency – without sacrificing quality or performance. It is extremely robust and is therefore well-suited to the hardest tasks. Thanks to high-quality battery cells from the automobile industry and innovative technologies, such as the Active Battery Optimizer, our TESVOLT TS HV 70 outdoor storage system is one of the most efficient and durable products on the market. With the TESVOLT TS HV 70 Outdoor storage system, TESVOLT offers a technical storage solution for any application. Its advanced, cost-optimised design makes for unbeatable efficiency – without sacrificing quality or performance. The TS HV 70 Outdoorstorage system is designed to be completely modular, from the prismatic battery cells to the outdoor rack. It is therefore easily customised and extremely efficient, thanks to its long service life. 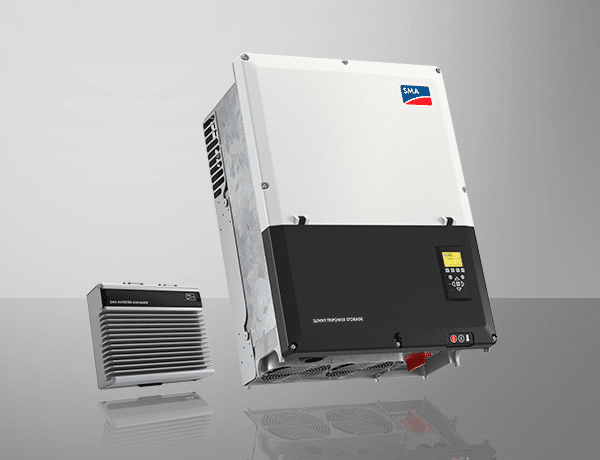 67 kWh | 76 kWh battery storage/ 60 kW battery inverter. 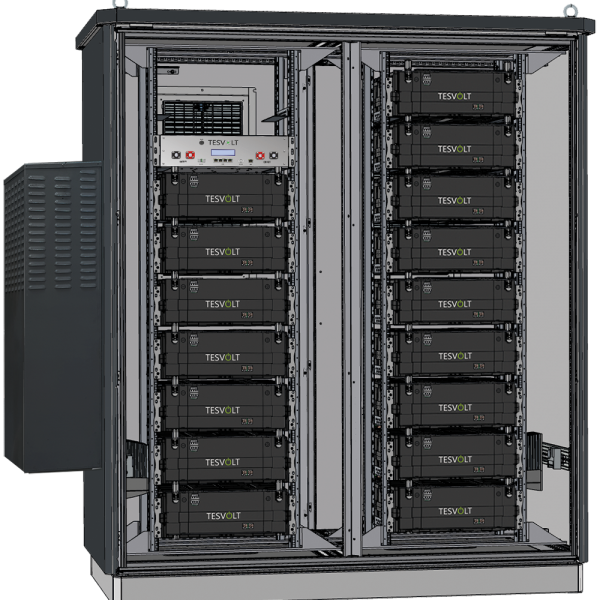 Energy storage system complete package consisting of an outdoor cabinet with 14 battery storage modules incl. BMS and Active Battery Management plus cable set up to inverter. Battery inverter incl. energy meter and inverter manager. The company was founded with the ambition to continue to drive the renewable energy sector forward. The company’s co-founders, Daniel Hannemann and Simon Schandert, have been working in the photovoltaic sector for many years, so they have excellent knowledge of the market and innovations in the renewables industry. Their main goal was to develop and sell economical commercial and industrial storage solutions. Join our ZERO Home Bills Community.BEST Products from the BEST Brands at BEST Prices for ZERO Home Bills on ZEROhomebills.com by Solaranna.